As we know, Melaka is well known as the ‘Green Technology state’ in Malaysia. In June 2013, Historical City of Malacca has earned a place in the international arena after being honoured with an internationally acclaimed Green Apple Environment Award in recognition of the council’s environmental best practice. The award was accredited for the first time to a local authority in the country. It shows the commitment of the state of Melaka in supporting the use of green technology. Melaka will make another history next year in green technology. The state will start using electric bus before the 2014 Chinese New Year in Banda Hilir. Melaka Chief Minister, Datuk Wira Ir. Idris Haron said, there will be 10 bus operating in the location of about 98 kilometers. 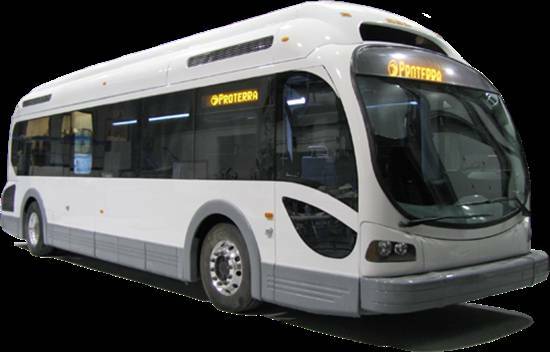 The electric bus can accommodate around 40 passengers and it will be used with the town bus concept where the majority of the passengers will stand. Only the senior citizens, pregnant women or the disabled will sit. The buses will be using the latest green technology with the top speed of only 40 km/h. It will also be fitted with the latest security system to guarantee passenger safety. We will have more information about this soon. When this project is implemented, Melaka will be the 1st state using electric bus and the upgraded public transportation will put Melaka on par with other developed countries. The use of electric bus will also reduce petrol and diesel consumption. This also could reduce the release of toxic gases that have a negative impact on the public health. This will surely give a positive impact to the environment. Especially with lower carbon emission. Idris said, that state government will change all current buses if it received positive impact. It is mentioned that the use of electric bus could reduce maintenance to RM0.20 per kilometers and on the other hand increase the state government profit to about RM0.49 per person. This project will be implemented by BASE T.C to upgrade public transportation service in Melaka. The project will be cost about RM9 million for 10 buses. ‘Melaka Maju Negeriku Sayang, Negeri Bandar Teknologi Hijau’. This slogan was started by the previous Chief Minister and by the look of it, the new one will continue to make Melaka as a Green Technology state a reality. I think the locals surely cant wait to see and use the electric buses, but no matter what technology is being used, the transportation system need to be improved as a whole as well. Whether it is in an electric bus, a diesel or a petrol bus, traffic jam will still be traffic jam.